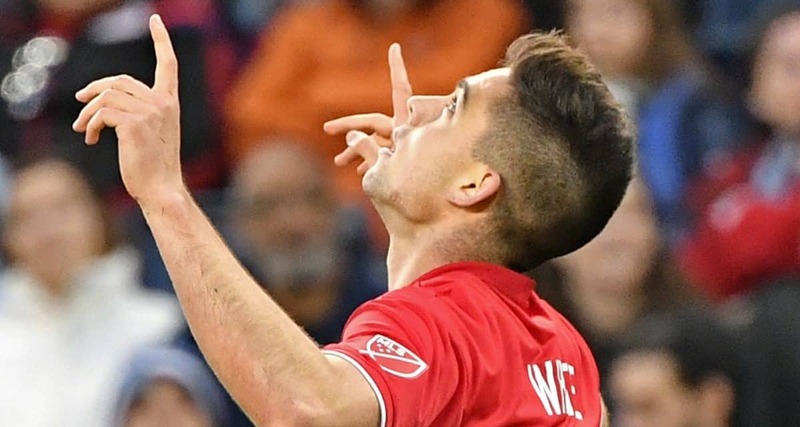 KANSAS CITY, Kan. — There are two ways to look at the Red Bulls’ 2-2 draw with Sporting Kansas City Sunday night. If you were an optimist, you would note that New York overcame a horrific first half to strike twice in the second half while on the road at Children’s Mercy Park. If you were a pessimist, you would note that the team lost an opportunity to steal three points on the road when Gianluca Busio tallied the equalizer in the 88th minute. 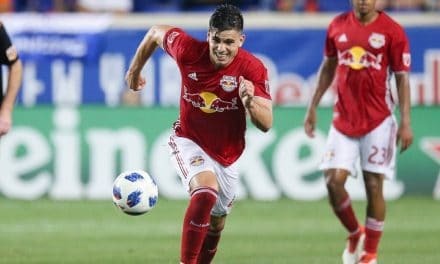 The result, which snapped a three-game losing streak, left the Red Bulls with only one win after six games, a 1-3-2 mark and five points, while Sporting (9 points) moved to 2-1-3. Kaku was red carded four minutes into stoppage time, which means he will be suspended from next Sunday’s game at the New England Revolution. 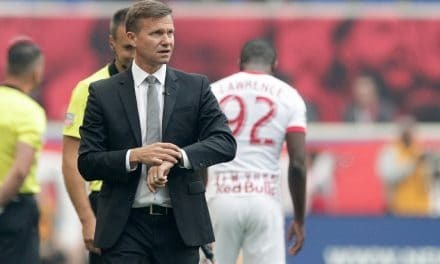 The Red Bulls were absolutely awful in the early stages as Sporting had plenty of room to run and roam the field and shot at the goal several times. They looked nervous and sometimes like an amateur soccer team playing together for the first time, the defense was so lax. Luis Robles was up to the task for most of the time, although it seemed he was working overtime. The hosts struck first in the 24th minute as a throw-in play found Johnny Russell deep in the penalty area. Russell finished to the far post. Seven minutes into the second half, Cristian Cásseres, Jr. sent a pin-point pass over the backline for Daniel Royer to touch in stride, fake goalkeeper Tim Melia and finish for the equalizer. “It gave us an extra push to even maybe win the game,” Royer said. Royer’s 26th career league goal moved him into a tie with John Wolyniec for seventh all-time in franchise history. It also was Cásseres’ first Major League Soccer assist. In the 75th minute, Kaku, from the far sidelines, sent a deep pass into the 18-yard box for Brian White, who dove and headed in for a 2-1 lead. 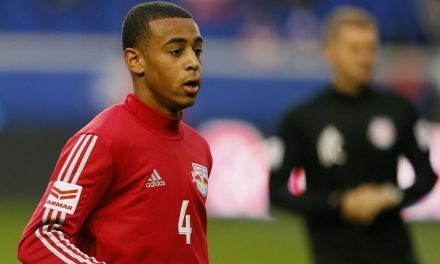 White replaced Bradley Wright-Phillips, who continued to endure his goal-scoring slump, in the 72nd minute. Sporting, however, had one more trick up its sleeves. Off a corner kick, an SKC player launched the ball into a crowded box, where Busio picked up the loose ball and scored the equalizer two minutes from regulation time.